It is finally great to be out of the confines of Fear Itself. The Invincible Iron Man #510 is a return to my favorite part of comic book story telling. Sure the giant multi-story encompassing archs of a mega event are always cool just to see the cross pollination of so many different super heroes, but this comic returns to the roots of classic comic book story telling. The issue picks up with Tony Stark introducing his new friend, the dwarven blacksmith Splitlip, from Svartalfheim, the Asgardian forge realm to his Stark Resilient team in Seattle. Splitlip saw Tony at his weakest in Fear Itself and looks up to him, not only as a creator, but as a recovering alcoholic. Of course, seeing the benefit of having a former creator of Asgardian relics, Tony takes him under his wing. What I really like about the set up for this arch though, is it is bringing in a multitude of villains from Tony's past. Ezekiel Stane and the Mandarin are in league with each other and are in command with a great amount of super villains from Tony's past, some serious such as Blizzard, and some not so serious such as The Melter. The scope of the Iron Man mythos is one of my favorite aspects of the character. Tony Stark never deals with solely domestic problems, but always deals with the global issues as well. 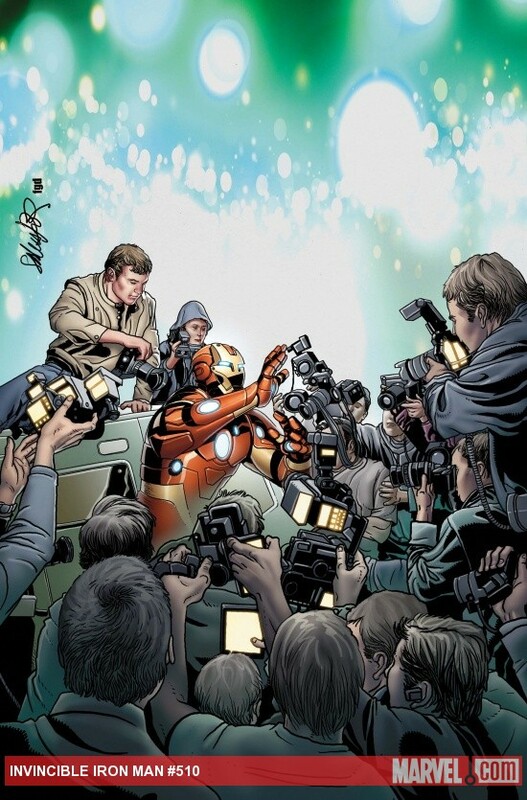 The setup for Stane attacking Abu Dhabi's water supply and the Mandarin orchestrating a court mandate to show that Tony Stark was drinking during the events of Fear Itself are showing promising openings for the duality between the social life of Tony Stark and the industrial protectorate side of Iron Man. It will be great to see this played out in the coming issues of this arc.